Alaska in 1900 was unexplored frontier, a land where risk, danger, and ultimate adventure made teamwork essential. Maine native R. Harvey Sargent led the U. S. Geological Survey in Alaska for over three decades, 1901-1936, charting the vast expanses of this remarkably beautiful and treacherous land. A pioneer of modern mapping, Sargent introduced 20th-century "firsts" photogrammetry and aerial surveys in Alaska, and the first professional surveys of China's mountainous interior. 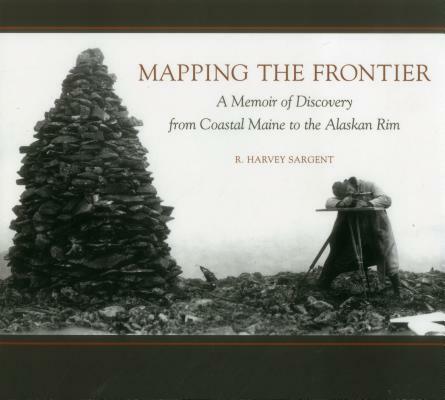 Mapping the Frontier: A Memoir of Discovery from Coastal Maine to the Alaskan Rim publishes for the first time Harvey Sargent's diary of his explorations in the world's outer edges, from China to Mexico, Utah, Arizona, Montana, and Alaska. He was the son of a sea captain, born with exploration and adventure in his veins. Grounded in the foundations of his childhood home of Sedgwick, Maine, to his family residence for a half-century with USGS in Washington, D. C., Sargent's lively narrative is beautifully illustrated with period maps and photographs. The reader will experience the breathtaking majesty of the Grand Canyon; the deadly harsh winters of Utah's dessert; misty fjords and dramatic icebergs of Glacier Bay National Park; and Sargent's discovery of Alaska's Aniakshak crater, today the country's most remote National Monument and Preserve.